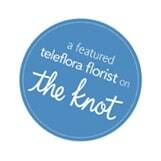 Thank you for considering Batavia Floral Designs as the florist for the most memorable day of your life. When planning your wedding, special care should be taken when choosing who will help you to create that most memorable day, from the location to the photographer, from the caterer to the florist. Our goal is to provide you with the most professional, individualized service from consult to wedding day to allow you to create memories that will last a life time. We have been a family owned and operated business for over 20 years. We are staffed with 2 professional wedding consultants along with award winning designers that allow us the ability to provide you with the individualized attention you deserve. We provide wedding service to the entire Tri-state and Northern Kentucky areas. It is our firm belief that every wedding is unique and different. The professionalism and individual service we provide is the same for every type of wedding we do; from small civil ceremonies to casual home ceremonies to elegant cathedral weddings. Every wedding is handled with the same enthusiasm, creativity and attention to detail. Therefore, we offer three ways to choose the perfect flowers to create your floral dream and maintain your projected floral budget. In deciding which option is right for you, there are several things that should be taken into consideration. Keep in mind that every wedding is different, and depending on your needs, some options may not be right for you. Although maintaining a budget is most important in planning your wedding, none of these options are budget specific. All of these options are easily fit into any budget, although in doing so, priorities need to be evaluated. If you are not sure of which to choose, call and schedule an appointment to meet with one of our consultants to go over your floral needs and we will give you our professional advice as to each option.